Professor, Computer Science Department, Università degli Studi di Milano, Italy. She graduated in Computer Science at Università degli Studi di Milano in 1988. At SRI, she was called to acquire responsibility, as Co-Principal Investigator, for a DARPA-funded project and lead the research in the field of data protection. 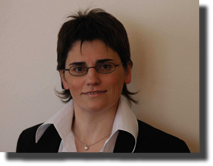 Pierangela Samarati’s research interests are in the main area of security and privacy. In particular, she is interested in information privacy, data protection, access control policies, models and systems, information system security, inference control, and information protection in general. Her work is reported in more than 260 peer-reviewed articles in international journals, conference proceedings, and book chapters. She has participated in several projects involving different aspects of privacy and information protection. She serves as Project Coordinator of the “Multi-Owner data Sharing for Analytics and Integration respecting Confidentiality and OWNer control (MOSAICrOWN)” project, funded by the European Commission under the Horizon 2020 research and innovation programme [Jan 2019-Dec 2021]. She has served as Project Coordinator of the “Enforceable Security in the Cloud to Uphold Data Ownership (ESCUDO-CLOUD)” project, funded by the European Commission under the Horizon 2020 research and innovation programme [Jan 2015-Dec 2017]. She has served as Principal Investigator for the Università degli Studi di Milano on the “Data-Centric Genomic Computing (GenData 2020)” project, a project funded by the Italian Ministry of Research (MIUR) targeted to the design of novel and advanced technological solutions for supporting the next-generation healthcare systems [Feb 2013-Jan 2016]. She has served as Principal Investigator on the “Fine-Grained Access Control for Social Networking Applications” project, Google Faculty Research Award [July 2012-June 2013]. She has served as Principal Investigator for the Università degli Studi di Milano on the “Privacy and Protection of Personal Data” project, a project funded by the Italian Ministry of Research (MIUR) targeted to the development of new technologies and tools with which users can protect their privacy, thus putting privacy-enhancing technology directly into users’ hands [Mar 2010-Sept 2012]. She has served as Principal Investigator for the Università degli Studi di Milano on the “Privacy and Identity Management in Europe for Life (Primelife)” project, a large-scale Integrated Project funded by the European Commission under the VII Framework program targeted to the development of privacy-aware solutions supporting privacy throughout users’ lives [Mar 2008-June 2011]. She has served as Principal Investigator for the Università degli Studi di Milano on the “Cryptographic Databases” project, a project funded by the Italian Ministry of Research (MIUR), targeted to the development of solutions for data security to protect sensitive data stored and managed by entities different from the data owner [Feb 2007-Feb 2009]. She has served as Principal Investigator for the Università degli Studi di Milano on the “Privacy and Identity Management for Europe (PRIME)” project, an Integrated Project funded by the European Commission under the VI Framework program targeted to the development of privacy-aware solutions for enforcing security [Mar 2004-Feb 2008]. In 2008, the PRIME project has received the HP-IAPP (HP-International Association of Privacy Professionals) Privacy Innovation Technology Award. She has served as Principal Investigator for the Università degli Studi di Milano on the “Roadmap for Advanced Research in Privacy and Identity Management (RAPID),” a Roadmap funded by the European Union targeted to the identification of R&D challenges in privacy technology and identity management [July 2002-June 2003]. She has served as Principal Investigator for the Università degli Studi di Milano for “Flexible Access to Statistics, Tables, and Electronic Summaries (FASTER)” project, a project funded by the European Union targeted to the secure publication of data on the Web [Jan 2000-Mar 2002]. While at SRI International, she participated, as co-PI, in the “Secure Access Wrapper (SAW)” project, a project funded by DARPA targeted to the development of security wrappers for the secure interoperation and information sharing of distributed, possibly heterogeneous, information sources and applications. At SRI, she also participated as a key researcher in the TIHI (Trusted Interoperation of Healthcare Information), an NSF funded project targeted to the development of a system for privacy-aware and secure sharing of information in the healthcare domain. Cybersecurity and Privacy (CySeP) Summer School, Sweden, 2019. Cybersecurity and Privacy (CySeP) Summer School, Sweden, 2017.
International Winter School on Big Data (BigDat 2017), Bari, Italy, 2017. In 2006, 2007, and 2008 she taught, as invited lecturer, the course “Computer Security I” for the MSc in Information Security at the University College London (UCL), UK. She serves in the steering committees of several international conferences and organized many of them as general or program chair. She has served as program committee member for more than 200 international conferences and workshops, including flagship conferences of ACM and IEEE. She has been actively involved in the organization of some of the most important international conferences in the security community. In 2002, she established the ACM Workshop on Privacy in the Electronic Society, serving as Program Chair for its first two editions. The workshop, of which she now chairs the Steering Committee, gathered the interest of many researchers and, at its 14th edition in 2015, represents one of the largest and most successful thematic workshops held in the association with the ACM Computer and Communications Security Conference (ACM CCS), the flagship ACM SIGSAC (Special Interest Group in Security, Audit and Control) conference. In 2011, she has been appointed by the Italian Ministry of Education, University, and Research, to serve in the panel of the National Agency for the Evaluation of Universities and Research Institutes (ANVUR); she has chaired the committee responsible for the evaluation of the research activity in Computer Science. 15th International Conference on Cryptology and Network Security (CANS 2016), Milan, Italy, November 14-16, 2016. 28th IFIP WG 11.3 Conference on Data and Application Security and Privacy (DBSec 2014), Vienna, Austria, July 14-16, 2014 (co-chair with Edgar Weippl). 24th Annual IFIP WG 11.3 Working Conference on Data and Applications Security and Privacy (DBSec 2010), Rome, Italy, June 21-23, 2010. 10th European Symposium On Research In Computer Security (ESORICS 2005), Milan, Italy, September 12-14, 2005. 1st Workshop on Security and Trust Management (STM 2005), Milan, Italy, September 15, 2005. 1st IEEE Conference on Communications and Network Security (CNS 2013), Washington, DC, USA, October 14-16, 2013. 12th ACM Conference on Computer and Communications Security (CCS 2005), Alexandria, VA, USA, November 7-11, 2005. 15th ACM Conference on Computer and Communications Security (CCS 2008), Alexandria, VA, USA, October 27-31, 2008. 25th Annual Computer Security Applications Conference (ACSAC 2009), Honolulu, Hawaii, December 7-11, 2009. 16th International Conference on Security and Cryptography (SECRYPT 2019), Prague, Czech Republic, July 26-28, 2019. 5th IEEE Workshop on Security and Privacy in the Cloud (SPC 2019), Washington, VA, USA, June 12, 2019 (co-chair with Massimiliano Albanese). 20th International Conference on Information and Communications Security (ICICS 2018), Lille, France, October 29-31 (co-chair with David Naccache, Shouhuai Xu, Sihan Qing). 15th International Conference on Security and Cryptography (SECRYPT 2018), Porto, Portugal, July 26-28, 2018. 13th International Conference on Information Security Practice and Experience (ISPEC 2017), Melbourne, Australia, November 29 - December 1, 2017 (co-chair with Joseph Liu). 14th International Conference on Security and Cryptography (SECRYPT 2017), Madrid, Spain, July 26-28, 2017. 13th International Conference on Security and Cryptography (SECRYPT 2016), Lisbon, Portugal, July 26-28, 2016. 3rd IEEE Conference on Communications and Network Security (CNS 2015), Florence, Italy, September 28-30, 2015. 10th International Conference on Security and Cryptography (SECRYPT 2015), Colmar, Alsace, France, July 20-22, 2015 (PC chair). 29th Annual IFIP WG 11.3 Working Conference on Data and Applications Security and Privacy (DBSec 2015) Fairfax, VA, USA, July 13-15, 2015. 9th International Conference on Security and Cryptography (SECRYPT 2014), Vienna, Austria, August 28-30, 2014 (PC chair). 8th International Conference on Security and Cryptography (SECRYPT 2013), Reykjavik, Iceland, July 29-31, 2013 (PC chair). 8th International Workshop on Security and Trust Management (STM 2012), Pisa, Italy, September 13-14, 2012 (co-chair with Audun Josang). 7th International Conference on Security and Cryptography (SECRYPT 2012), Rome, Italy, July 24-27, 2012. 10th International Conference on Applied Cryptography and Network Security (ACNS 2012), Singapore, June 26-29, 2012 (co-chair with Feng Bao). 5th International Conference on Network and System Security (NSS 2011), Milan, Italy, September 6-8, 2011. 6th International Conference on Security and Cryptography (SECRYPT 2011), Seville, Spain, July 18-21, 2011 (co-chair with Javier Lopez). 4th International Conference on Network and System Security (NSS 2010), Melbourne, Australia, September 1-3, 2010 (co-chair with Yang Xiang, Jiankun Hu). 5th International Conference on Security and Cryptography (SECRYPT 2010), Athens, Greece, July 26-28, 2010 (co-chair with Sokratis Katsikas). 3rd International Workshop on Information Security Theory and Practices (WISTP 2010), Passau, Germany, April 12-16, 2010 (co-chair with M. Tunstall). 12th Information Security Conference (ISC 2009), Pisa, Italy, September 7-9, 2009 (co-chair with Moti Yung). 24th Annual Computer Security Applications Conference (ACSAC 2008), Anaheim, California, USA, December 8-12, 2008. 1st International Workshop on Privacy in Location-Based Applications (PiLBA 2008), Malaga, Spain, October 9, 2008 (co-chair with Claudio Bettini, Sushil Jajodia, X. Sean Wang). 23rd International Information Security Conference (SEC 2008), Milan, Italy, September 8-10, 2008 (co-chair with Sushil Jajodia). 23rd Annual Computer Security Applications Conference (ACSAC 2007), Miami, FL, USA, December 10-14, 2007. 4th European PKI Workshop: Theory and Practice (EuroPKI 2007), Palma de Mallorca, Spain, June 28-30, 2007 (co-chair with Javier Lopez). 2nd ACM Symposium on InformAtion, Computer and Communications Security (ASIACCS 2007), Singapore, March 20-22, 2007 (co-chair with Robert Deng). 2nd International Workshop on Security and Trust Management (STM 2006), Hamburg, Germany, September 20, 2006 (co-chair with Sandro Etalle). 22nd Annual Computer Security Applications Conference (ACSAC 2006), Miami, FL, USA, December 11-15, 2006 (co-chair with Christoph Schuba and Charles Payne). 21st Annual Computer Security Applications Conference (ACSAC 2005), Tucson, AZ, USA, December 5-9, 2005 (co-chair with Christoph Schuba and Charles Payne). 20th Annual Computer Security Applications Conference (ACSAC 2004), Tucson, AZ, USA, December 6-10, 2004 (co-chair with Dan Thomsen and Christoph Schuba). 9th European Symposium On Research In Computer Security (ESORICS 2004), Nice, France, September 13-15, 2004 (co-chair with Peter Ryan). 18th IFIP WG11.3 Working Conference on Data and Application Security (DBSec 2004), Sitges, Spain, July 25-28, 2004 (co-chair with Csilla Farkas). 2nd ACM Workshop on Privacy in the Electronic Society (WPES 2003), Washington, DC, USA, October 31, 2003 (co-chair with Paul Syverson). 8th European Symposium On Research In Computer Security (ESORICS 2003), Gjovik, Norway, October 13-15, 2003 (co-chair with Einar Snekkenes). 18th IFIP TC-11 International Conference on Information Security (SEC 2003), Athens, Greece, May 26-28, 2003 (co-chair with Socratis Katsikas). 1st ACM Workshop on Privacy in the Electronic Society (WPES 2002), Washington, DC, USA, November 21, 2002. 8th ACM Conference of Computer and Communications Security (CCS 2001), Philadephia, PA, USA, November 5-8, 2001. 10th IFIP WG11.3 Working Conference on Database Security (DBSec 1996), Como, Italy, July 1996 (co-chair with Ravi Sandhu). 7th IEEE Conference on Communications and Network Security (CNS 2019), Washington, D.C., USA, June 10-12, 2019 (Area chair). 5th IEEE Conference on Communications and Network Security (CNS 2017), Las Vegas, NV, USA, October 9-11, 2017 (Area chair). 2nd IEEE Conference on Communications and Network Security (CNS 2014), San Francisco, CA, USA, October 29-31, 2014 (Area chair). 1st IEEE Conference on Communications and Network Security (CNS 2013), Washington DC, USA, October 14-16, 2013 (Area chair). 29th IEEE International Conference on Data Engineering (ICDE 2013), Brisbane, Australia, April 8-12, 2013 (Privacy and security track). 1st IEEE-AESS Conference in Europe about Space and Satellite Communications (ESTEL 2012), Rome, Italy, October 2-5, 2012 (Security and privacy special track). 2019 IEEE Global Communications Conference: Communication & Information System Security (GLOBECOM 2019), Big Island, Hawaii, December 9-13, 2019. 15th International Conference on Information Systems Security (ICISS 2019), Hyderabad, India, December 16-20, 2019. 15th International Conference on Information Security Practice and Experience (ISPEC 2019), Kuala Lumpur, Malaysia, November 26-28, 2019. 15th EAI International Conference on Security and Privacy in Communication Networks (SecureComm 2019), Orlando, FL, USA, October 23-25, 2019. 18th International Conference on Cryptology and Network Security (CANS 2019), Fuzhou, China, October 25-27, 2019. 24th European Symposium on Research in Computer Security (ESORICS 2019), Luxembourg, September 23-27, 2019. 16th International Conference on Trust, Privacy and Security in Digital Business (TRUSTBUS 2019), Linz, Austria, August 26-29, 2019. 18th IEEE International Conference on Trust, Security and Privacy in Computing and Communications (TRUSTCOM 2019), Rotorua, New Zealand, August 5-8, 2018. 33rd Annual IFIP WG 11.3 Conference on Data and Applications Security and Privacy (DBSec 2019), Charleston, SC, USA, July 14-17, 2019. 2019 IEEE International Congress on Big Data, Milan, Italy, July 8-13, 2019. 39th IEEE International Conference on Distributed Computing Systems (ICDCS 2019), Dallas, Texas, USA, July 7-10, 2019. 24th Australasian Conference on Information Security and Privacy (ACISP 2019), Christchurch, New Zealand, July 3-5, 2019. 34th International Conference on ICT Systems Security and Privacy Protection (IFIP SEC 2019), Lisbon, Portugal, June 25-27, 2019. 2019 European Workshop on Security and Privacy in Edge Computing (EuroSPEC 2019), Stockholm, Sweden, June 16, 2019. 1st Workshop on Cloud Security and Privacy (CLOUD S&P 2019), Bogota, Colombia, June 6, 2019. 2nd EAI International Conference on Security and Privacy in New Computing Environments (SPNCE 2019), Tianjin, China, April 13-14, 2019. 3rd Italian Conference on CyberSecurity (ITASEC 2019), Pisa, Italy, February 12-15, 2019. 2018 IEEE Global Communications Conference: Communication & Information System Security, Abu Dhabi, UAE, December 9-13, 2018. 12th WISTP International Conference on Information Security Theory and Practice (WISTP 2018), Brussels, Belgium, December 11-12, 2018. 2018 IEEE International Conference on Big Data (IEEE BigData 2018), Seattle, WA, USA, December 10-13, 2018. 17th International Conference on Cryptology And Network Security (CANS 2018), Naples, Italy, September 30-October 3, 2018. Privacy in Statistical Databases (PSD 2018), Valencia, Spain. September 26-28, 2018. 14th International Conference on Information Security Practice and Experience (ISPEC 2018), Tokyo, Japan, September 25-27, 2018. 33th International Conference on Information Security and Privacy Protection (IFIP SEC 2018), Poznan, Poland, September 18-20, 2018. 13th International Workshop on Data Privacy Management (DPM 2018), Barcelona, Spain, September 6-7, 2018. 14th International Workshop on Security and Trust Management (STM 2018), Barcelona, Spain, September 6-7, 2018. 15th International Conference on Trust, Privacy and Security in Digital Business i (TrustBus 2018), Regensburg, Germany, September 5-6, 2018. 23rd European Symposium on Research in Computer Security (ESORICS 2018), Barcelona, Spain, September 3-7, 2018. 16th Annual Conference on Privacy, Security and Trust (PST 2018), Belfast, Northern Ireland, UK, August 28-30, 2018. 14th EAI International Conference on Security and Privacy in Communication Networks (SecureComm 2018), Singapore, Singapore, August 8-10, 2018. 32nd Annual IFIP WG 11.3 Working Conference on Data and Applications Security and Privacy (DBSec 2018), Bergamo, Italy, July 16-18, 2018. 23rd Australasian Conference on Information Security and Privacy (ACISP 2018), Wollongong, Australia, July 11-13, 2018. 12th IFIP WG 11.11 International Conference on Trust Management (IFIPTM 2018), Toronto Canada, July 8-12, 2018. Workshop on Foundations of Computer Security (FCS 2018), Oxford, UK, July 8, 2018. 7th IEEE International Congress on Big Data (BigData Congress 2018), San Francisco, CA, USA, July 2-7, 2018. 13th ACM Asia Conference on Computer and Communications Security (ASIACCS 2018), Incheon, South Korea, June 4-8, 2018. 4th IEEE Workshop on Security and Privacy in the Cloud (SPC 2018), Beijing, China, June 1, 2018. 2nd International Workshop on Big Data Analytics, Security and Privacy (BiDAS 2018), Essaouira, Morocco, May 8, 2018. 34th International Conference on Data Engineering (ICDE 2018), Paris, France, April 16-20, 2018. 2nd Italian Conference on CyberSecurity (ITASEC 2018), Milan, Italy, February 6-9, 2018. 4th IEEE World Forum on Internet of Things (WF-IoT 2018), Singapore, February 5-8, 2018. 13th International Conference on Information Systems Security (ICISS 2017), Bombay, Mumbai, India, December 16-20, 2017. 7th International Conference on e-Democracy (eDemocracy 2017), Athens, Greece, December 14-15, 2017. 2017 IEEE International Conference on Big Data (BigData 2017), Boston, MA, USA, December 11-14, 2017. 19th International Conference on Information and Communication Security (ICICS2017),Beijing, China, December 6-8, 2017. 2017 IEEE Global Communications Conference: Communication & Information System Security (GLOBECOM 2017), Singapore, December 4-8, 2017. 16th International Conference on Cryptology and Network Security (CANS 2017), Hong Kong, November 30-December 2, 2017. 16th Workshop on Privacy in the Electronic Society (WPES 2017), Dallas, TX, USA, October 30, 2017. 13th EAI International Conference on Security and Privacy in Communication Networks (SecureComm 2017), October 22-24, 2017, Niagara Falls, Canada. 11th WISTP International Conference on Information Security Theory and Practice (WISTP 2017), Crete, Greece, September 28-29, 2017. 1st International Workshop on Security and Privacy Requirements Engineering (SECPRE 2017), Oslo, Norway, September 14-15, 2017. 1st European Workshop on Security and Privacy in Fog and Edge Computing (SPIFEC 2017), Oslo, Norway, September 14-15, 2017. 12th International Workshop on Data Privacy Management (DPM 2017), Oslo, Norway, September 14-15, 2017. 3rd Workshop on the Security of Industrial Control Systems and of Cyber-Physical Systems (CyberICPS 2017), Oslo, Norway, September 14-15, 2017. 22nd European Symposium on Research in Computer Security (ESORICS 2017), Oslo, Norway, September 11-13, 2017. 20th Information Security Conference (ISC 2017), Ho Chi Minh city, Viet Nam, September 6-8, 2017. 43rd International Conference on Very Large Data Bases (VLDB 2017), Munich, Germany, August 28-September 1, 2017. 14th International Conference on Trust, Privacy & Security in Digital Business (TrustBus 2017), Lyon, France, August 28-31, 2017. 31st Annual IFIP WG 11.3 Conference on Data and Applications Security and Privacy (DBSec 2017), Philadelphia, PA, USA, July 17-19, 2017. 11th IFIP WG 11.11 International Conference on Trust Management (IFIPTM 2017), Gothenburg, Sweden, June 12-16, 2017. 20th International Conference on Extending Database Technology (EDBT 2017), Venice, Italy, March 21-24, 2017. 1st Italian Conference on CyberSecurity (ITA-SEC 2017), Venice, Italy, January 18-20, 2017. 12th International Conference on Information Systems Security (ICISS 2016), Jaipur, India, December 16-20, 2016. Workshop on Models at Runtime & Networked Control for Cyber Physical Systems (MARTCPS 2016), Reston, VA, USA, December 12-14, 2016. 18th International Conference on Information and Communications Security (ICICS 2016), Singapore, November 29-December 2, 2016. 2016 IEEE International Conference on Big Data (BigData 2016), Washington, DC, USA, December 5-8, 2016. 2016 IEEE Global Communications Conference: Communication & Information System Security (Globecom 2016), Washington, DC, USA, December 4-8, 2016. 12th International Conference on Information Security Practice and Experience (ISPEC 2016), Zhangjiajie, China, November 16-18, 2016. 15th Workshop on Privacy in the Electronic Society (WPES 2016), Vienna, Austria, October 24, 2016. 2nd Workshop on Security and Privacy in the Cloud (SPC 2016), Philadelphia, PA, USA, October 19, 2016. 4th IEEE Conference on Communications and Network Security (CNS 2016), Philadelphia, PA, USA, October 17-19, 2016. 12th International Conference on Security and Privacy in Communication Networks (SecureComm 2016), Guangzhou, China, October 10-12, 2016. 21st European Symposium on Research in Computer Security (ESORICS 2016), Crete, Greece, September 26-30, 2016. 7th Privacy in Statistical Databases (PSD 2016), Dubrovnik, Croatia, September 14-16, 2016. 13th International Conference on Trust, Privacy and Security in Digital Business (TrustBus 2016), Porto, Portugal, September 5-8, 2016. 42nd International Conference on Very Large Data Bases (VLDB 2016), New Delhi, India, September 5-9, 2016. 19th Information Security Conference (ISC 2016), Honolulu, HI, USA, September 5-7, 2016. 11th International Conference on Availability, Reliability and Security (AREES 2016), Salzburg, Austria, August 31 - September 2, 2016. 9th International Conference on Trust & Trustworthy Computing (TRUST 2016), Vienna, Austria, August 29-30, 2016. 15th IEEE International Conference on Trust, Security and Privacy in Computing and Communications (TrustCom 2016), Tianjin, China, August 23-26, 2016. 30th Annual IFIP WG 11.3 Conference on Data and Applications Security and Privacy (DBSec 2016), Trento, Italy, July 18-21, 2016. 10th IFIP WG 11.11 International Conference on Trust Management (IFIPTM 2016), Darmstadt, Germany, July 18-22, 2016. 13th IEEE International Conference on Advanced and Trusted Computing (ATC 2016), Toulouse, France, July 18-21, 2016. 3rd International Workshop on Graphical Models for Security (GraMSec 2016), Lisbon, Portugal, June 27, 2016. 9th International Conference on Security for Information Technology and Communications (SECITS 2016), Bucharest, Romania, June 9-10, 2016. 11th ACM Symposium on Information, Computer and Communications Security (ASIACCS 2016), Xi’an, China, May 31-June 3, 2016. 4th International Workshop on Security in Cloud Computing (SCC 2016), Xi’an, China, May 30, 2016. 31th IFIP TC-11 SEC 2016 International Information Security and Privacy Conference (SEC 2016), Ghent, Belgium, May 30-June 1, 2016. Smart City Security and Privacy Workshop (SCSP-W 2016), Vienna, Austria, April 11-14, 2016. 5th Conference on Principles of Security and Trust (POST 2016), Eindhoven, The Netherlands, April 2-8, 2016. 4th Workshop on Hot Issues in Security Principles and Trust (HotSpot 2016), Eindhoven, The Netherlands, April 2016. 19th International Conference on Extending Database Technology (EDBT 2016), Bordeaux, France, March 15-18, 2016. 9th International Workshop on Privacy and Anonymity in Information Society (PAIS 2016), Bordeaux, France, March 15, 2016. 6th International Conference on E-Democracy (eDemocracy 2015), Athens, Greece, December 10-11, 2015. 17th International Conference on Information and Communication Security (ICICS 2015), Beijing, China, December 9-12, 2015. 24th ACM International Conference on Information and Knowledge Management (CIKM 2015), Melbourne, Australia, October 19-23, 2015. 1st Workshop on the Security of Cyber Physical Systems (WOS-CPS 2015), Vienna, Austria, September 24-25, 2015. 4th International Workshop on Quantitative Aspects of Security Assurance (QASA 2015), Austria, September 24-25, 2015. 10th International Workshop on Data Privacy Management (DPM 2015), Vienna, Austria, September 24-25, 2015. 20th European Symposium on Research in Computer Security (ESORICS 2015), Vienna, Austria, September 21-25, 2015. 8th International Information Security Conference (ISC 2015), Trondheim, Norway, September 9-11, 2015.
International Workshop on Multimedia Forensics and Security (MFSec 2015), Toulouse, France, August 24-28, 2015. 9th WISTP International Conference on Information Security Theory and Practice (WISTP 2015), Heraklion, Greece, August 24-25, 2015. 14th IEEE International Conference on Trust, Security and Privacy in Computing and Communications (TrustCom 2015), Helsinki, Finland, August, 20-22, 2015. 3rd International Conference on Human Aspects of Information Security, Privacy and Trust, Los Angeles, CA, USA, August 2-7, 2015. 13th Annual Conference on Privacy, Security, and Trust (PST 2015), Izmir, Turkey, July 21-23, 2015. 2nd International Workshop on Graphical Models for Security (GraMSec 2015), Verona, Italy, July 13, 2015. 8th International Conference on Security for Information Technology and Communications (SECITS 2015), Bucharest, Romania, June 11-12, 2015. 20th ACM Symposium on Access Control Models and Technologies (SACMAT 2015), Vienna, Austria, June 1-3, 2015. 9th IFIP WG 11.11 International Conference on Trust Management, Hamburg, Germany, May 29, 2015. 30th IFIP TC-11 International Information Security and Privacy Conference (SEC 2015), Hamburg, Germany, May 26-28, 2015. 9th Web 2.0 Security and Privacy Workshop (W2SP 2015), San Jose, CA, USA, May 18-20,2015. 11st International Conference on Information Security Practice and Experience (ISPEC 2015), Beijing, China, May 5-8, 2015. 2015 TILTing Perspectives Conference ’Under observation: Synergies, benefits and trade-offs of eHealth and surveillance’, Tilburg, The Netherlands, April 22-23, 2015. 3rd Workshop on Hot Issues in Security Principles and Trust (HotSpot 2015), London, UK, April 18, 2015. 10th ACM Symposium on Information, Computer and Communications Security (ASIACCS 2015), Singapore, April 14-17, 2015. 3rd International Workshop on Security in Cloud Computing (SCC 2014), Singapore, April 14, 2015. 1st Cyber-Physical System Security Workshop (CPSS 2015), Singapore, April 14, 2015. 4th Conference on Principles of Security and Trust (POST 2015), London, UK, April 11-19, 2015. 8th International Workshop on Privacy and Anonymity in the Information Society (PAIS 2015), Brussels, Belgium, March 27, 2015. 18th International Conference on Extending Database Technology (EDBT 2015), Brussels, Belgium, March 23-27, 2015. 19th International Conference on Financial Cryptography and Data Security (FC 2015), Isla Verde, Puerto Rico, January 26-30, 2015. Computers, Privacy and Data Protection (CPDP 2015), Brussels, Belgium, January 21-23, 2015. 16th International Conference on Information and Communications Security (ICICS 2014), Hong Kong, December 16-17, 2014. W3C Workshop on Privacy and User-Centric Controls, Berlin, Germany, November 20-21, 2014. 21st ACM Conference on Computer and Communications Security (CCS 2014), Scottsdale, Arizona, USA, November 3-7, 2014. 23rd ACM International Conference on Information and Knowledge Management (CIKM 2014), Shanghai, China, November 3-7, 2014. 13th Workshop on Privacy in the Electronic Society (WPES 2014), Scottsdale, Arizona, USA, November 3, 2014. 13th International Conference on Cryptology and Network Security (CANS 2014), Heraklion, Crete, October 22-24, 2014. 17th Information Security Conference (ISC 2014), Hong Kong, China, October 12-14, 2014. 15th Joint IFIP TC6 and TC11 Conference on Communications and Multimedia Security (CMS 2014), Aveiro, Portugal, September 25-26, 2014. 10th International Conference on Security and Privacy in Communication Networks (SecureComm 2014), Beijing, China, September 24-26, 2014. 6th Privacy in Statistical Databases (PSD 2014), Eivissa, Balearic Islands, September 17-19, 2014. 9th DPM International Workshop on Data Privacy Management (DPM 2014), Wroclaw, Poland, September 10-11, 2014. 10th International Workshop on Security and Trust Management (STM 2014), Wroclaw, Poland, September 10-11, 2014. 3rd International Workshop on Quantitative Aspects in Security Assurance (QASA 2014), Wroclaw, Poland, September 10-11, 2014. 19th European Symposium on Research in Computer Security (ESORICS 2014), Wroclaw, Poland, September 7-11, 2014. 11th International Conference on Trust, Privacy & Security in Digital Business (TrustBus 2014), Munich, Germany, September 1-5, 2014. 9th International Conference on Risks and Security of Internet and Systems (CRiSIS 2014), Trento, Italy, August 27-29, 2014. 12th International Conference on Privacy, Security and Trust (PST 2014), Toronto, Canada, July 23-24, 2014. 28th IFIP WG 11.3 Conference on Data and Application Security and Privacy (DBSec 2014), Vienna, Austria, July 14-16, 2014. 8th IFIP WG 11.11 International Conference on Trust Management (IFIPTM 2014), Singapore, July 7-10, 2014. 19th Australasian Conference on Information Security and Privacy (ACISP 2014), Wollongong, Australia, July 7-9, 2014. 8th International Conference on Software Security and Reliability (SERE 2014), San Francisco, CA, USA, June 30-July 2, 2014. 8th Workshop in Information Security Theory and Practice (WISTP 2014), Heraklion, Greece, June 23-25, 2014. 29th IFIP TC-11 International Information Security and Privacy Conference (SEC 2014), Marrakech, Morocco, June 2-4, 2014. 8th Workshop on Web 2.0 Security & Privacy (W2SP 2014), San Jose, CA, USA, May 18, 2014. 2nd International Workshop of Security and Privacy in Big Data (BigSecurity 2014), Toronto, Canada, April 27-May 2, 2014. 7th International Workshop on Privacy and Anonymity in Information Society (PAIS 2014), Athens, Greece, March 28 2014. 8th International Conference on Financial Cryptography and Data Security (FC 2014), Bardados, March 3-7, 2014. 15th International Conference on Information and Communications Security (ICICS 2013), Beijing, China, November 20-22, 2013. 12th Workshop on Privacy in the Electronic Society (WPES 2013), Berlin, Germany, November 4, 2013. 5th ACM Cloud Computing Security Workshop (CCSW 2013), Berlin, Germany, November 9, 2013. 2013 IEEE International Conference on Big Data (IEEE Big Data 2013), Silicon Valley, CA, USA, October 6-9, 2013. 9th International Conference on Security and Privacy in Communication Networks (SecureComm 2013), Sydney, Australia, September 25-27, 2013. 14th Joint IFIP TC6 and TC11 Conference on Communications and Multimedia Security (CMS 2013), Magdeburg, Germany, September 25-26, 2013. 2nd International Workshop in Quantitative Aspects in Security Assurance (QASA 2013), Egham, UK, September 12-13, 2013. 9th International Workshop on Security and Trust Management (STM 2013), Egham, UK, September 12-13, 2013. 10th European PKI Workshop: Research and Applications (EuroPKI 2013), Egham, UK, September 12-13, 2013. 18th European Symposium on Research in Computer Security (ESORICS 2013), Egham, UK, September 9-13, 2013. 10th International Conference on Trust, Privacy and Security in Digital Business (TrustBus 2013), Prague, Czech Republic, August 26-30, 2013. 11th International conference on Privacy, Security and Trust (PST 2013), Tarragona, Spain, July 17-19, 2013. 13th Privacy Enhancing Technologies Symposium (PETS 2013), Bloomington, Indiana, USA, July 10-12, 2013. 33rd International Conference on Distributed Computing Systems (ICDCS 2013), Philadelphia, PA, USA, July 8-11, 2013. 11th International Conference on Applied Cryptography and Network Security (ACNS 2013), Banff, Alberta, Canada, June 25-18, 2013. 26th IEEE International Symposium on Computer-Based Medical System (CBMS 2013), University of Porto, Portugal, June 20-22, 2013. 7th International Conference on Software Security and Reliability (SERE 2013), Gaithersburg, Maryland, USA, June 18-20, 2013. 18th ACM Symposium on Access Control Models and Technologies (SACMAT 2013), Amsterdam, The Netherlands, June 12-14, 2013. 7th International Conference on Trust Management (IFIPTM 2013), Malaga, Spain, June 3-7, 2013. 7th Workshop in Information Security Theory and Practice (WISTP 2013), Heraklion, Crete, May 28-30, 2013. 8th ACM Symposium on Information, Computer and Communications Security (ASIACCS 2013), Hangzhou, China, May 8-10, 2013. 20th Annual Network & Distributed System Security Symposium (NDSS 2013), San Diego, California, USA, February 24-27, 2013. 1st Workshop on Privacy in Social Data (PinSoDa 2012), Brussels, Belgium, December 10, 2012. 28th Annual Computer Security Applications Conference (ACSAC 2012), Orlando, Florida, USA, December 3-7, 2012. 4th IEEE International Conference on Cloud Computing Technology Science (CloudCom 2012), Taipei, Taiwan, December 3-6, 2012. W3C Workshop: Do Not Track and Beyond, UC Berkeley, CA, USA, November 26-27, 2012. 1st International Conference on Security, Privacy and Applied Cryptography Engineering (SPACE 2012), Chennai, India, November 2-3, 2012. 14th International Conference on Information and Communications Security (ICICS 2012), Hong Kong, China, October 29-31, 2012. 6th International Conference on Mathematical Methods, Models and Architectures for Computer Network Security (MMM-ACNS 2012), St. Petersburg, Russia, October 17-20, 2012. 15th Information Security Conference (ISC 2012) Passau, Germany, September 19-21, 2012. 1st International Workshop in Quantitative Aspects in Security Assurance (QASA 2012), Pisa, Italy - September 14, 2012. 9th European PKI Workshop: Research and Applications (EuroPKI 2012), Pisa, Italy - September 13-14, 2012. 8th International Conference on Security and Privacy in Communication Networks (SecureComm 2012), Padua, Italy, September 3-6, 2012. 9th International Conference on Trust, Privacy and Security in Digital Business (TrustBus 2012), Vienna, Austria, September 3-7, 2012. 13th Joint IFIP TC6 and TC11 Conference on Communications and Multimedia Security (CMS 2012), Canterbury, UK, September 2-5, 2012. 26th Annual WG11.3 Conference on Data and Applications Security and Privacy (DBSec 2012), Paris, France, July 11-13, 2012. 12th Privacy Enhancing Technologies Symposium (PETS 2012), Vigo, Spain, July 11-13, 2012. 8th International Conference on Mobile Web Information Systems (MobiWIS 2012), Niagara Falls, Ontario, Canada, August 27-29, 2012. 25th IEEE Symposium on Computer Security Foundations (CSF 2012), Cambridge, USA, June 25-27, 2012. 17th ACM Symposium on Access Control Models and Technologies (SACMAT 2012), June 20-22, 2012. 9th Workshop in Information Security Theory and Practice (WISTP 2012), Egham, UK, June 19-22, 2012. 32nd International Conference on Distributed Computing Systems (ICDCS 2012), Macau, China, June 12-15, 2012. 27th IFIP International Information Security and Privacy Conference (SEC 2012), Heraklion, Crete, Greece, June 4-6, 2012. 6th IFIP WG 11.11 International Conference on Trust Management (IFIPTM 2012), Surat, India, May 21-25, 2012. 5th European Workshop on Systems Security (EuroSec 2012), Bern, Switzerland, April 10, 2012. 5th International Workshop on Privacy and Anonymity in Information Society (PAIS 2012), Berlin, Germany, March 30, 2012. 4th International Symposium on Engineering Secure Software and Systems (ESSOS 2012), Eindhoven, The Netherlands, February 16-17, 2012. 7th International Conference on Information Systems Security (ICISS 2011), Kolkata, India, December 15-18, 2011. 27th Annual Computer Security Applications Conference (ACSAC 2011), Orlando, Florida, USA, December 5-9 2011. 13th International Conference on Information and Communication Security (ICICS 2011), Beijing, China, November 23-26, 2011. 5th International Web Rule Symposium (RuleML2011@BFR), Fort Lauderdale, Florida, USA, November 3-5, 2011. 14th Information Security Conference (ISC 2011), Xian, China, October 26-29, 2011. 12th Joint IFIP TC6 and TC11 Conference on Communications and Multimedia Security (CMS 2011), Ghent, Belgium, October 19-21, 2011. 8th International Conference on Mobile Web Information Systems (MobiWIS 2011), Niagara Falls, Ontario, Canada, September 19-21, 2011. 8th European Workshop on PKI, Services and Applications (EUROPKI 2011), Leuven, Belgium, September 15-16, 2011. 16th European Symposium On Research In Computer Security (ESORICS 2011), Leuven, Belgium, September 12-14, 2011. 7th International Conference on Security and Privacy in Communication Networks (SecureComm 2011), London, UK, September 7-9, 2011. IFIP Summer School on Privacy and Identity Management for Emerging Internet Applications throughout a Person’s Lifetime, Trento, Italy, September 5-9, 2011. Workshop on Workflow Security Audit and Certification (WfSAC 2011), Clermont-Ferrand, France, August 29, 2011. 11th Privacy Enhancing Technologies Symposium (PETS 2011), Waterloo, ON, Canada, July 27-29, 2011. 5th International RuleML Symposium on Rules (RuleML2011@IJCAI) Barcelona, Spain, July 19-21, 2011. 9th Annual Conf. on Privacy, Security and Trust (PST 2011), Montreal, QC, Canada, July 19-21, 2011. 25th Annual IFIP WG 11.3 Conference on Data and Applications Security and Privacy (DBSec 2011), Richmond, Virginia USA, July 11-13, 2011. 8th IEEE/FTRA International Conference on Secure and Trust Computing, Data Management, and Applications (STA 2011), Crete, Greece, June 28-30, 2011. 7th International Workshop on Security and Trust Management (STM 2011), Copenhagen, Denmark, June 27-28, 2011. 10th Workshop on Foundations of Computer Security (FCS 2011), Toronto, ON, Canada, June 20-25, 2011. 2nd International Workshop on Security and Privacy in Cloud Computing (SPCC 2011), Minneapolis, Minnesota, USA, June 20-24, 2011. 16th ACM Symposium on Access Control Models and Technologies (SACMAT 2011), Innsbruck, Austria, June 15-17, 2011. 4th International Workshop on Information Security Theory and Practices (WISTP 2011), Heraklion, Greece, June 8-11, 2011. 26th IFIP International Information Security Conference (SEC 2011), Lucerne, Switzerland, June 7-9, 2011. 12th IEEE International Symposium on Policies for Distributed Systems and Networks (POLICY 2011), Pisa, Italy, June 6-8, 2011. 4th International Workshop on Privacy and Anonymity in Information Society (PAIS 2011), Uppsala, Sweden, March 25, 2011. 6th ACM Symposium on Information, Computer and Communications Security (ASIACCS 2011), Hong Kong, China, March 22-24, 2011. 12th International Conference on Information and Communications Security (ICICS 2010), Barcelona, Spain, December 15-17, 2010. 26th Annual Computer Security Applications Conf. (ACSAC 2010), Austin, Texas, December 6-10, 2010. 19th International Conference on Information and Knowledge Management (CIKM 2010), Toronto, Canada, October 26-30, 2010. 13th Information Security Conference (ISC 2010), Boca Raton, Florida, USA, October 25-28, 2010. 5th International Symposium on Information Security (IS 2010), Crete, Greece, October 25-26, 2010. 5th International Conference on Risks and Security of Internet and Systems (CRiSIS 2010), Montreal, Canada, October 11-13, 2010. 9th Workshop on Privacy in the Electronic Society (WPES 2010), Chicago, IL, USA, October 4, 2010. 7th European Workshop on Public Key Services, Applications and Infrastructures (EuroPKI 2010), Athens, Greece, September 23-24, 2010. 6th International Workshop on Security and Trust Management (STM 2010), Athens, Greece, September 23-24, 2010. 15th European Symposium On Research In Computer Security (ESORICS 2010), Athens, Greece, September 20-22, 2010. 25th IFIP Int’l Information Security Conference (SEC 2010), Brisbane, Australia, September 20-23, 2010. 4th Privacy in Statistical Databases (PSD 2010), Corfu, Greece, September 22-24, 2010. 7th International Conference on Trust, Privacy and Security in Digital Business (TrustBus 2010), Bilbao, Spain, 30 August-3 September 2010. Collaborative Methods for Security and Privacy (CollSec 2010), Washington, VA, USA, August 10, 2010. PrimeLife/IFIP Summer School 2010, Helsingborg, Sweden, August 2-6, 2010. 11th IEEE International Symposium on Policies for Distributed Systems and Networks (POLICY 2010), Fairfax, VA, USA, July 21-23, 2010. Workshop on Foundations of Security and Privacy (FCS-PrivMod 2010), Edinburgh, UK, July 14-15, 2010. 1st International Workshop on Security and Privacy in Cloud Computing (SPCC 2010), Genoa, Italy, June 21-25, 2010. 30th Int’l Conference on Distributed Computing Systems (ICDCS 2010), Genoa, Italy, June 21-25, 2010. ACM Internationa SIGMOD Conference on Management of Data, Indianapolis, Indiana, June 6-11, 2010. 11th Joint IFIP TC6 and TC11 Conference on Communications and Multimedia Security (CMS 2010), Hagenberg, Austria, May 31-June 2, 2010. 5th ACM Symposium on Information, Computer and Communications Security (ASIACCS 2010), Beijing China, April 13-16, 2010. 13th International Conference on Extending Database Technology (EDBT 2010), Lausanne, Switzerland, March 22-26, 2010. 3rd International Workshop on Privacy and Anonymity in the Information Society (PAIS 2010), Lausanne, Switzerland, March 22, 2010. 26th International Conference on Data Engineering (ICDE 2010), Long Beach, California, March 1-6, 2010. Workshop on Security and Privacy in Cloud Computing (SPCC 2010), Brussels, Belgium, January 29, 2010. 25th Annual Computer Security Applications Conf. (ACSAC 2009), Honolulu, Hawaii, December 2009. 1st ACM Workshop on Information Security Governance (WISG 2009), Chicago, Illinois, USA, November 13, 2009. 1st ACM Cloud Computing Security Workshop (CCSW 2009), Chicago, Illinois, USA, November 13, 2009. 16th ACM Conference on Computer and Communications Security (CCS 2009), Chicago, Illinois, USA, November 9-13, 2009. 4th International Symposium on Information Security (IS 2009), Algarve, Portugal, November 1-6, 2009. 4th International Conference on Risks and Security of Internet and Systems (CRiSIS 2009), Toulouse, France, October 19-22, 2009. 5th International Workshop on Security and Trust Management, (STM 2009), Saint Malo, France, September 24-25, 2009. 14th European Symposium On Research In Computer Security (ESORICS 2009), Saint Malo, France, September 21-25, 2009. 5th International Conference on Security and Privacy in Communication Networks (SecureComm 2009), Athens, Greece, September 14-18, 2009. 6th European Workshop on Public Key Services (EUROPKI 2009), Pisa, Italy, September 9-11, 2009. PrimeLife Summer School, Nice, France, September 7-11, 2009. 10th IEEE International Symposium on Policies for Distributed Systems and Networks (POLICY 2009), London, UK, July 20-22, 2009. 23rd Annual IFIP WG 11.3 Working Conference on Data and Applications Security (DBSec 2009), Montreal, Canada, July 12-15, 2009. 22nd IEEE Computer Security Foundations Symposium (CSF 2009), New York, USA, July 8-10, 2009. 29th International Conference on Distributed Computing Systems (ICDCS 2009), Montreal, Quebec, Canada, June 22-26, 2009. 24th IFIP International Information Security Conference (SEC 2009), Pafos, Cyprus, May 18-20, 2009. IEEE Symposium on Computational Intelligence in Cyber Security (CICS 2009), Nashville, TN, USA, March 30 - April 2, 2009. 2nd Workshop on Privacy in Information Society (PAIS 2009), Saint Petersburg, Russia, March 22, 2009. 4th ACM Symposium on InformAtion, Computer and Communications Security (ASIACCS 2009), Sydney, Australia, March 17-19, 2009. 4th International Conference on Information Systems Security (ICISS 2008), University of Hyderabad, India, December 16-20, 2008. 3rd International Symposium on Information Security (IS 2008), Monterrey, Mexico, November 10-11, 2008. 7th ACM Workshop on Privacy in the Electronic Society (WPES 2008), Alexandria, VA, USA, October 27, 2008. 13th European Symposium On Research In Computer Security (ESORICS 2008), Malaga, Spain, October 6-8, 2008. 4th International Conference on Security and Privacy in Communication Networks (SecureComm 2008), Instambul, Turkey, September 22-25, 2008. 11th Information Security Conference (IS 2008), Taipei, Taiwan, September 15-18, 2008. 5th International Conference on Trust, Privacy & Security in Digital Business (TrustBus 2008), Turin, Italy, September 1-5, 2008. 8th Brazilian Symposium on Information and Computer System Security (SBSeg 2008), Gramado, Brazil, September 1-5, 2008. 22nd Annual IFIP WG 11.3 Working Conference on Data and Applications Security (DBSec 2008), London, UK, July 13-16, 2008. 4th International Conference on Global E-Security (ICGeS 2008), Docklands, UK, June 23-25, 2008. 28th Int’l Conference on Distributed Computing Systems (ICDCS 2008) Beijing, China, June 17-20, 2008. Joint iTrust and PST Conference on Privacy, Trust Management and Security (IFIPTM 2008), Norway, June 16-20, 2008. 4th International Workshop on Security and Trust Management, Trondheim, Norway, June 16-17, 2008. 9th IEEE Workshop on Policies for Distributed Systems and Networks (POLICY 2008), Palisades, NY, USA, June 2-4, 2008. 2nd Workshop in Information Security Theory and Practices 2008: Smart Devices, Convergence and Next Generation Networks (WISTP 2008), Sevilla, Spain, May 13-16, 2008. 1st International Workshop on Privacy and Anonymity in the Information Society (PAIS 2008), Nantes, France, March 29, 2008. 23rd ACM Symposium on Applied Computing (SAC 2008), Fortaleza, Ceara, Brazil, March 16-20, 2008. Workshop on Privacy Enforcement and Accountability With Semantics (PEAS 2007), Busan, Korea, November 12, 2007. 14th ACM Conference on Computer and Communications Security (CCS 2007), Alexandria, VA, USA, October 29 - November 2, 2007. 1st ACM Workshop on Information and Communications Security Standards and Regulations (StaR SEC 2007), Alexandria, VA, USA, October 29, 2007. 6th ACM Workshop on Privacy in the Electronic Society, Alexandria (WPES 2007), VA, USA, October 29, 2007. 3rd European Conference on Computer Network Defense (EC2ND 2007), Heraklion, Crete, Greece, October 4-5, 2007. 10th Information Security Conference (ISC 2007), Valparaiso, Chile, October 9-12, 2007. 33rd International Conf. on Very Large Databases (VLDB 2007), Vienna, Austria, September 25-28, 2007. 12th European Symposium On Research In Computer Security (ESORICS 2007), Dresden, Germany, September 24-26, 2007. 13th New Security Paradigms Workshop (NSPW 2007), New Hampshire, USA, September 18-21, 2007. 3rd International Conference on Security and Privacy in Communication Networks (SecureComm 2007), Nice, France, September 17-21, 2007. Joint iTrust and PST Conferences on Privacy, Trust Management and Security (IFIPTM 2007), Moncton, New Brunswick, Canada, July 30 - August 2, 2007. 21st Annual IFIP WG 11.3 Working Conference on Data and Applications Security (DBSec 2007), Redondo Beach, CA, USA, July 8-11, 2007. 20th IEEE Computer Security Foundations Symposium (CSF 2007), Venice, Italy, July 6-8, 2007. 22nd IFIP TC-11 International Information Security Conference (SEC 2007), Sandton, South Africa, May 14-16, 2007. 23rd IEEE International Conference on Data Engineering (ICDE 2007), Istanbul, Turkey, April 16-20, 2007. 2th International Conference on Database Systems for Advanced Applications (DASFAA 2007), Bangkok, Thailand, April 9-12, 2007. 22nd ACM Symposium on Applied Computing (SAC 2007), Seoul, Korea, March 11-15, 2007. 2nd International Conference on Information Systems Security (ICISS 2006), December 17-21, 2006. 8th International Conference on Information and Communications Security (ICICS 2006), Raleigh, NC, USA, December 4-7, 2006. 2nd International Semantic Web Policy Workshop (SWPW 2006), Athens, GA, USA, November 5-9, 2006. 4th ACM Workshop on Formal Methods in Security Engineering (FMSE 2006), Alexandria, VA, USA, November 3, 2006. 13th ACM Conference on Computer and Communications Security (CCS 2006), Alexandria, VA, USA, October 30-November 3, 2006. 5th ACM Workshop on Privacy in the Electronic Society (WPES 2006), Alexandria, VA, USA, October 30, 2006. 1st European Workshop on Technological & Security Issues in Digital Rights Management (EuDiRIghts 2006), Hamburg, Germany, September 9, 2006. 3rd International Conference on Trust and Privacy in Digital Business (TrustBus 2006), Krakov, Poland, September 4-8, 2006. 9th Information Security Conference (IS 2006), Pythagoras, Greece, August 30 - September 2, 2006. 4th International Workshop on Formal Aspects in Security & Trust (FAST 2006), Hamilton, Ontario, August 26-27, 2006. 20th Annual IFIP WG 11.3 Working Conference on Data and Applications Security (DBSec 2006), Sophia Antipolis, France, July 31-August 2, 2006. IEEE Symposium on Network Security and Information Assurance, Istanbul, Turkey, June 11-15, 2006. 4th International Conference on Applied Cryptography and Network Security Conference (ACNS 2006), Singapore, June 6-9, 2006. 7th IEEE International Workshop on Policies for Distributed Systems and Networks (POLICY 2006), London, Ontario, Canada, June 5-7, 2006. Models of Trust for the Web (MTW 2006), Edinburgh, Scotland, May 22-26, 2006. 4th Working Conference on Privacy and Anonymity in Networked and Distributed Systems (I-NetSec 2006), Karlstad, Sweden, May 22-24, 2006. 21st IFIP International Information Security Conference (SEC 2006), Karlstad, Sweden, May 22-24, 2006. 4th Trust Management Conference (iTrust 2006), Pisa, Italy, May 16-19, 2006. 21st ACM Symposium on Applied Computing (SAC 2006), Dijon, France, April 23-27, 2006. 2nd International Conference on Global e-Security (ICGES 2006), London, UK, April 20-22, 2006. 20th IEEE Advanced Inf. Networking and Applications (AINA 2006), Vienna, Austria, April 18-20, 2006. 2nd Int’l Workshop on Privacy Data Management (PDM 2006), Atlanta, Georgia, USA, April 8, 2006. 1st International Workshop on Security and Trust in Decentralized/Distributed Data Structures (STD3S 2006), Atlanta, GA, USA, April 3-7, 2006. 1st ACM Symposium on Information Communication and Computer Security (ASIACCS 2006), Taipei, Taiwan, March 21-24, 2006. 5th IEEE International Symposium on Signal Processing and Information Technology (ISSPIT 2005), Athens, Greece, December 18-21, 2005. 1st International Conference on Information Security (ICIS 2005) Kolkata, India, December 19-21, 2005. Workshop on Privacy and Security Aspects of Data Mining, Houston, Texas, USA, November 27, 2005. 2nd ACM Workshop on Storage Security and Survivability (StorageSS 2005), Fairfax, Virginia, USA, November 11, 2005. 4th ACM Workshop on Privacy in the Electronic Society (WPES 2005), Alexandria, VA, USA, November 7, 2005. 8th Information Security Conference (ISC 2005), Singapore, September 20-23, 2005. 2nd International Conference on Trust, Privacy, and Security in Digital Business (TrustBus 2005), Copenhagen, Denmark, August 22-26, 2005. 1st Int’l Workshop on Security and Trust Management (STM 2005), Milan, Italy, September 15, 2005. 10th Australasian Conf. on Inf. Security and Privacy (ACISP 2005), Brisbane, Australia, July 4-6, 2005. 3rd Applied Cryptography and Network Security Conf. (ACNS 2005), New York City, June 7-10, 2005. 6th IEEE International Workshop on Policies for Distributed Systems and Networks (POLICY 2005), Stockholm, Sweden, June 6-8, 2005. 2nd International Workshop on Security in Distributed Computing Systems (SDCS 2005), Columbus, OH, USA, June 6-9, 2005. IEEE Symposium on Security and Privacy, Oakland, CA, USA, May 8-11, 2005. 20th IFIP Int’l Information Security Conference (SEC 2005), Makuhari, Japan, May 30 - June 1, 2005. 1st International Workshop on Privacy Data Management (PDM 2005), Tokyo, Japan, April 9, 2005. Web Technologies and Applications - Special Track of the 20th ACM Symposium on Applied Computing (SAC 2005), Santa Fe, New Mexico, March 13-17, 2005. 2nd Conference on Secure Communication and the Internet, Cairo, Egypt, December 27-29, 2004. 1st International Conference on Distributed Computing and Internet Technology (ICDCIT 2004), Bhubaneswar, India, December 22-24, 2004. Workshop on Privacy and Security Aspects of Data Mining, Brighton, UK, November 1, 2004. 8th IFIP TC-6&11 Conference on Communication and Multimedia Security (CMS 2004), Lake Windermere, UK, September 15-18, 2004. 1st International Conference on Trust and Privacy in Digital Business (TrustBus 2004), Zaragoza, Spain, August 30 - September 3, 2004. 2nd International Workshop on Certification and Security in Inter-Organizational E-Services (CSES 2004), Toulouse, France, August 26-27, 2004. 19th IFIP Int’l Information Security Conference (SEC 2004), Toulouse, France, August 23-26, 2004. 2nd Int. Workshop on Formal Aspects in Security & Trust (FAST 2004), Toulouse, France, Aug. 22, 2004. 3rd International Workshop on Agents and Peer-to-Peer Computing, (AP2PC 2004), New York, NY, USA, July 19-23, 2004. 1st Eur. PKI Workshop: Research and Applications (EuroPKI 2004), Samos, Greece, June 25-26, 2004. 1st Workshop on Databases In Virtual Organizations (DIVO 2004), Paris, June 17, 2004. 5th IEEE International Workshop on Policies for Distributed Systems and Networks (POLICY 2004), New York, June 7-9, 2004. IEEE Symposium on Security and Privacy, Oakland, CA, USA, May 9-12, 2004. 19th Annual Computer Security Applications Conference, Las Vegas, NV, December 8-12, 2003. 10th ACM Conf of Computer and Communications Security, Washington, DC, USA, October 27-31, 2003. 1st MiAn Int. Conf. on Applied Cryptography and Network Security, Kunming, China, Oct. 16-19, 2003. 1st Int. Workshop on Formal Aspects in Security & Trust (FAST 2003), Pisa, Italy, September 8-9, 2003. 2nd Int. Workshop on Agents and Peer-to-Peer Computing, Melbourne, Australia, July 14-15, 2003. 2003 Workshop on Foundations of Computer Security, Ottawa, Canada, June 26-27, 2003. 4th IEEE Int. Workshop on Policies for Distributed Systems and Networks, Como, Italy, June 4-6, 2003. 2nd Int. IFIP Working Conf. on Network and Distr. System Security, Athens, Greece, May 26-28, 2003. 1st IEEE International Security In Storage Workshop, Greenbelt, Maryland, USA, December 11, 2002. 18th Annual Computer Security Applications Conference, Las Vegas, NV, USA, Dec. 9-13, 2002. 20th Int. Conference on Conceptual Modeling (ER 2001), Yokohama, Japan, November 26-30, 2001. 9th ACM Conf of Computer and Communications Security, Washington, DC, USA, November 17-21, 2002. 7th European Symp. On Research In Computer Security (ESORICS 2002), Zurich, CH, Oct. 14-16, 2002. IFIP TC-11 International Conference on Information Security (SEC 2002), Cairo, Egypt, May 6-8, 2002. 17th Annual Computer Security Applications Conference, New Orleans, LA, USA, Dec. 10-14, 2001. 1st Int. IFIP WG11.4 Conf. on Network Security (I-NetSec 2001), Leuven, Belgium, Nov. 26-27, 2001. 3rd Int. Conf. on Information and Communication Security (ICICS 2001), Xian, China, Nov. 13-16, 2001. Sistemi Evoluti di Basi Dati, Venezia, Italy, June 27-29, 2001. IFIP-TC11 International Conference on Information Security, Paris, France, June 12-14, 2001. 1st Workshop on Security and Privacy in E-Commerce, Athens, Greece, November 4, 2000. 7th ACM Conference of Computer and Communications Security, Athens, Greece, November 1-4, 2000. 6th European Symp. On Research In Computer Security (ESORICS 2000), Tolouse, FR, Oct. 4-6, 2000. IFIP-TC11 Conference on Information Security, Beijing, China, August 21-25, 2000. 2000 IEEE Symposium on Security and Privacy, Oakland, CA, USA, May 14-17, 2000. EDBT2000 – VII Conference on Extending Database Technology, Konstanz, Germany, March 27-31, 2000. DEXA’99 Workshop on Electronic Commerce and Security, Florence, Italy, Aug. 30 - Sept. 3, 1999. IEEE Computer Security Foundations Workshop, Mordano, Italy, June 28-30, 1999. ACM Conference on Computer and Communications Security, San Francisco, CA, USA, Nov 2-5, 1998. IFIP WG 11.5 Working Conf. on Integrity and Control in Information Systems, VA, USA, Nov 1998. 5th European Symposium on Research in Computer Security, Belgium, September 16-18, 1998. IFIP-TC11 Conference on Information Security, Vienna, Austria, September 1998. DEXA Workshop on Security and Integrity of Data Intensive Applications, Vienna, Austria, August 1998. IEEE Symposium on Security and Privacy, Oakland, CA, USA, May 3-6, 1998. ACM SIGSAC Workshop on New Security Paradigms, Great Langdale, Cumbria, UK, Sept. 23-26, 1997. IEEE Symposium on Security and Privacy, Oakland, CA, USA, May 4-7, 1997. 4th European Symp. On Research In Computer Security (ESORICS), Roma, Italy, September 25-27, 1996. ACM SIGSAC Workshop on New Security Paradigms, Lake Arrowhead, CA, USA, September 16-19, 1996. ACM SIGSAC Workshop on New Security Paradigms, La Jolla, CA, USA, August 22-25, 1995. 2nd ACM Conference on Computer and Communications Security, Fairfax, VA, USA, November 2-4, 1994. ACM Conf. on Object-Oriented Programming Systems, Languages, and Appl., Portland, USA, Oct. 1994.
International Symposium on Object-Oriented Methodologies and Systems, Palermo, Italy, September 1994. 4th Summer School on Network and Information Security (NIS 2011), Crete, Greece, June 27-July 1, 2011. 3rd Summer School on Network and Information Security (NIS 2010), Crete, Greece, Sep. 13-17, 2010. “ICT Technology for Smart Cities and Homes,” in International Joint Conference on e-Business and Telecommunications (ICETE 2013), Reykjavik, Iceland, July 29-31, 2013. “Recent Advances in the Security of Telecommunication and Network Systems,” in International Joint Conference on e-Business and Telecommunications (ICETE 2012), Rome, Italy, July 24-27, 2012. “Data and Applications Security: Status and Prospects,” in 25th Annual IFIP WG11.3 Conference on Data and Applications Security and Privacy (DBSec 2011) Richmond, Virginia USA, July 11-13, 2011. “Future Challenges in Telecommunications and Computer Networking,” in 7th International Conference on e-Business and Telecommunications (ICETE 2010), Athens, Greece, July 26-28, 2010. “e-Business: Socio-Technical Challenges and Strategies,” in International Joint Conference on e-Business and Telecommunications (ICETE 2009), Milan, Italy, July 7-10, 2009. “The Role of Data and Application Security in Homeland Security,” in 18th IFIP WG11.3 Working Conference on Database and Application Security, Sitges, Spain, July 25-28, 2004. “Privacy and Civil Liberties,” in 16th IFIP WG11.3 Working Conference on Database and Application Security, Cambridge, UK, July 29-31, 2002. “XML and Security,” in 15th IFIP WG11.3 Working Conference on Database and Application Security, Niagara on the Lake, Ontario, Canada, July 15-18, 2001. “Privacy Issues in WWW and Data Mining,” in 12th IFIP WG11.3 Working Conference on Database Security, Tessaloniki, Greece, July 15-17, 1998. “Data Warehousing, Data Mining, and Security,” in 11th IFIP WG11.3 Working Conference on Database Security, Lake Tahoe, CA, USA, August 10-13, 1997. “Role-Based Access Control and Next Generation Security Models,” in 9th IFIP WG11.3 Working Conference on Database Security, Rensselaerville, NY, USA, August 13-16, 1995. “Data Security and Privacy in Emerging Scenarios,” in 2019 SPIE DCS Mobile Multimedia/Image Processing, Security, and Applications Conference, Baltimore, MD, USA, April 14-18, 2019. “Data Security and Privacy in Emerging Scenarios,” in 17th International Conference on Cryptology And Network Security (CANS 2018), Naples, Italy, October 2, 2018. “Data Security and Privacy in the Cloud,” in 3rd IEEE International Conference on Smart Cloud (SmartCloud 2018), New York, NY, USA, September 22, 2018. “Data Protection in Emerging Scenarios,” in Second Italian Conference on Cybersecurity (ITASEC 2018), Milan, Italy, February 9, 2018. “Protezione dei Dati in Scenari Emergenti,” in Cyber Security - L’Evoluzione della Sicurezza nell’Ecosistema 4.0, Milan, Italy, October 2, 2017. “Data Security and Privacy in the Cloud,” in Italian Symposium on Advanced Database Systems (SEBD 2017), Squillace Lido, Italy, June 25, 2017 (tutorial). “Data Security and Privacy in the Cloud,” in III Jornadas Nacionales de Investigacion en Ciberseguridad (JNIC 2017), Madrid, Spain, June 1, 2017. “Data Protection in Emerging Scenarios,” in IT-CNR Day, Pisa, Italy, November 17, 2016. “Security and Privacy in the Cloud,” in 6th International Conference on Cloud Computing and Services Science (CLOSER 2016), Rome, Italy, April 23-25, 2016. “Data Security and Privacy in the Cloud,” in 11th International Conference on Information Systems Security (ICISS 2015), Kolkata, India, December 16-20, 2015. “Enforceable Security in the Cloud to Uphold Data Ownership,” in 1st IEEE Workshop on Security and Privacy in the Cloud,” Florence, Italy, September 30, 2015. “Data Security and Privacy in the Cloud,” in 10th DPM International Workshop on Data Privacy Management (DPM 2015) and 4th International Workshop on Quantitative Aspects of Security Assurance (QASA 2015), Vienna, Italy, September 21, 2015. “Data Security and Privacy in the Cloud,” in 10th International Conference on Availability, Reliability and Security (ARES 2015), Toulouse, France, August 24-28, 2015. “Privacy Risks in Emerging Scenarios,” in 2015 IEEE Symposium on Analytics and Risk in Complex Management System, Beijing, China, August 14, 2015. “Privacy Risks in Emerging Scenarios,” in 3rd International Conference on Value Engineering and Project Management, Beijing, China, August 13, 2015. “Data Security and Privacy in Emerging Scenarios," in The 2015 Smart World Congress, Beijing, China, August 10-14, 2015. “Data Security and Privacy in the Cloud,” in 2nd UAE Cyber Security Day 2015, Abu Dhabi, United Arab Emirates, April 20, 2015. “Data Protection in the Cloud,” in 7th International Conference on Trust & Trustworthy Computing (TRUST 2014), Heraklion, Crete, Greece, June 30 - July 2, 2014. “Data Security and Privacy in the Cloud,” in 10th International Conference on Information Security Practice and Experience (ISPEC 2014), Fuzhou, China, May 5-8, 2014. “Security and Privacy in the Cloud,” in IEEE International Workshop on Information Forensics and Security (WIFS 2013), Guangzhou, China, November 18-21, 2013. “Data Security and Privacy in the Cloud,” in Institute for Infocomm Research, Singapore, November 14, 2013. “Data Security and Privacy in the Cloud,” in 7th IFIP WG 11.11 International Conference on Trust Management, Malaga, Spain, June 3-7, 2013. “Data Protection in the Cloud,” in ARO Workshop on Cloud Security, Fairfax, VA, USA, March 11-12, 2013. “Privacy and Data Protection in Cloud Scenarios,” in 5th International Conference on Security of Information and Networks (SIN 2012), Jaipur, India, October 22-26, 2012. “Data Protection in the Cloud,” in International Conference on Security, Privacy and Applied Cryptography Engineering (SPACE 2012), Chennai, India, November 2-3, 2012. “Managing and Accessing Data in the Cloud: Privacy Risks and Approaches,” in 7th International Conference on Risks and Security of Internet and Systems (CRiSIS 2012), Cork, Ireland, October 10-12, 2012. “Supporting User Privacy Preferences in Digital Interactions,” in 7th International Workshop on Data Privacy Management (DPM 2012), Pisa, Italy, September 13-14, 2012. “Providing Support for User Privacy Preferences,” in IEEE International Workshop on Semantics, Security, and Privacy (WSSP 2011), Palo Alto, California, USA, September 21, 2011. “Policy Specification and Enforcement in Emerging Scenarios,” in IEEE International Symposium on Policies for Distributed Systems and Networks (POLICY 2011), Pisa, Italy, June 6-8, 2011. “Protecting Data Privacy in Emerging Scenarios,” in 10th Brazilian Symposium on Information and Computer System Security (SBSeg 2010), Fortaleza, Brasil, October 11-15, 2010. “Data Privacy in Outsourcing Scenarios,” in 7th European Workshop on Public Key Services, Applications, and Infrastructures (EUROPKI 2010), Athens, Greece, September 23-24, 2010. “Protecting Data Privacy in Data Outsourcing and Publication,” in 6th International ICST Conference on Security and Privacy in Communication Networks (SecureComm 2010), Singapore, September 7-9, 2010. “Protecting Privacy in Data Publishing,” in Institute for Infocomm Research, Singapore, September 6, 2010. “Protecting Confidentiality in External Data Storage,” in 1st International Workshop on Security and Privacy in Cloud Computing (SPCC 2010), Genoa, Italy, June 25, 2010. “Data Protection in Outsourcing Scenarios: Issues and Directions,” in 5th ACM Symposium on Information, Computer and Communications Security (ASIACCS 2010), Beijing, China, April 13-16, 2010. “Protecting Data Privacy in Outsourcing Scenarios,” in 3rd International Workshop on Privacy and Anonymity in the Information Society (PAIS 2010), Lausanne, Switzerland, March 22, 2010. “Protecting Data Privacy in Outsourcing Scenarios,” in Illinois Institute of Technology, Chicago, Illinois, USA, November 11, 2009. “Protecting Data to Enable Privacy in the Electronic Society,” in International Workshop on Signal Processing in the EncryptEd Domain (SPEED 2009) Lausanne, Switzerland, September 10, 2009. “Protecting Information Privacy in the Electronic Society,” in International Conference on Security and Cryptography (SECRYPT 2009), Milan, Italy, July 7-10, 2009. “Privacy in Data Dissemination and Outsourcing,” in 13th European Symposium On Research In Computer Security (ESORICS 2008), Malaga, Spain, October 6-8, 2008. “Identity Management & Privacy in the Electronic Society,” in ICT for Trust and Security (IST 2006), Helsinki, Finland, November 22, 2006. “New Direction in Access Control,” in NATO Advanced Research Workshop on Cyberspace Security and Defense: Research Issues, Gdansk, Poland, September 6-9, 2004. “Access Control in the Open Infrastructure,” in ITI First International Conference on Information & Communication Technology (ICICT 2003), Cairo, Egypt, November 30-December 2, 2003. “New directions for access control policies,” in 7th European Symposium On Research In Computer Security (ESORICS 2002), Zurich, Switzerland, October 16, 2002. “Enriching Access Control to Support Credential-Based Specifications,” in Workshop on Credential-based Access Control in Open Interoperable Systems, Dortmund, Germany, October 2, 2002. “Choosing Reputable Servents in a P2P Network,” in 2nd Annual Information Security for South Africa Conference (ISSA 2002), Muldersdrift, South Africa, July 12, 2002. “Research Directions in Access Control,” in 2nd Annual Information Security for South Africa Conference (ISSA 2002), Muldersdrift, South Africa, July 11, 2002. “Data Security,” in Jor. de Bases de Datos e Ingenieria del Software, Ciudad Real, Spain, Nov 20-21, 2001.